The International Bluegrass Music Association (IBMA) have announced the names of the twenty-six persons who will be taking part in the IBMA's 2017 Leadership Bluegrass class (20-22 Mar.) in Nashville, TN. 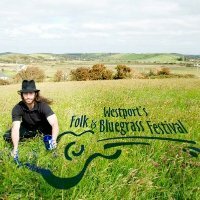 Among them is Uri Kohen, founder and chief organiser of the Westport Folk and Bluegrass Festival, held every June in Westport, Co. Mayo. A Leadership Bluegrass (LBG) course is a pressure-cooker-like three days of intense interaction between people in all fields of bluegrass activity. The BIB congratulates Uri - we can't think of anyone on the scene here who is better placed to benefit from the opportunities that LBG offers. As can be seen from the IBMA release, he is the only member of this year's class to come from outside the USA. Well-deserved! Congratulations Uri. Howdy Richard. Say hey to Carol.